Friday May 31st @ Ardon Creek, we will be enjoying the night with music by the "Gray Wolf Band" putting on a show with some Classic Rock music. Come out and see us!! Come sit and relax and take in some music and wine with the always fun and entertaining "Monica Bell Band" as they play some Country Rock and Blues. 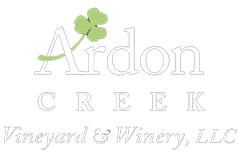 Friday June 28th @ Ardon Creek. Another great night in the vineyard is in store with the ever popular "The Night People" who will be playing some of your favorite Classic Rock hits of the 60's & 70's. Come kick back and enjoy with us!! Friday July 12th @Ardon Creek. Heading into a new month with some good old Classic Rock and Southern Rock from "Hot Rod Lincoln" Friday August 9th @ Ardon Creek.